A solution for keeping staff and students protected from the weather. 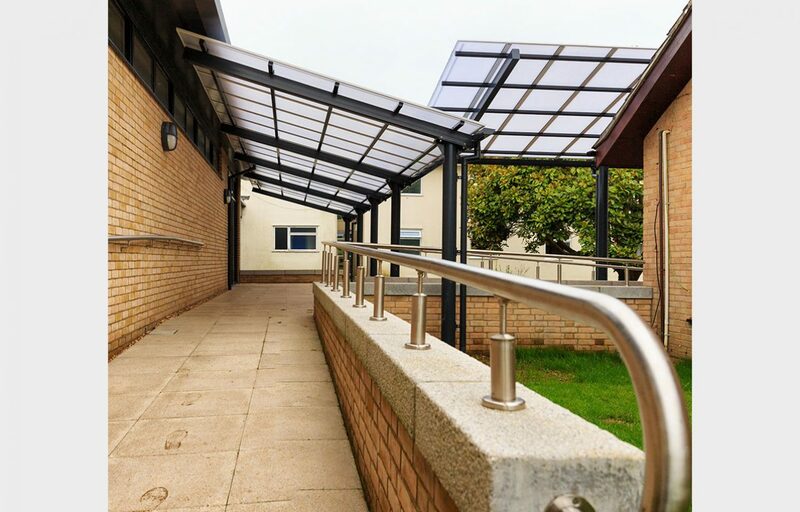 Moorlands College came to Fordingbridge needing a solution for how to keep their staff and students protected from the weather when transferring along the extensive connecting pathways between department buildings on their site. 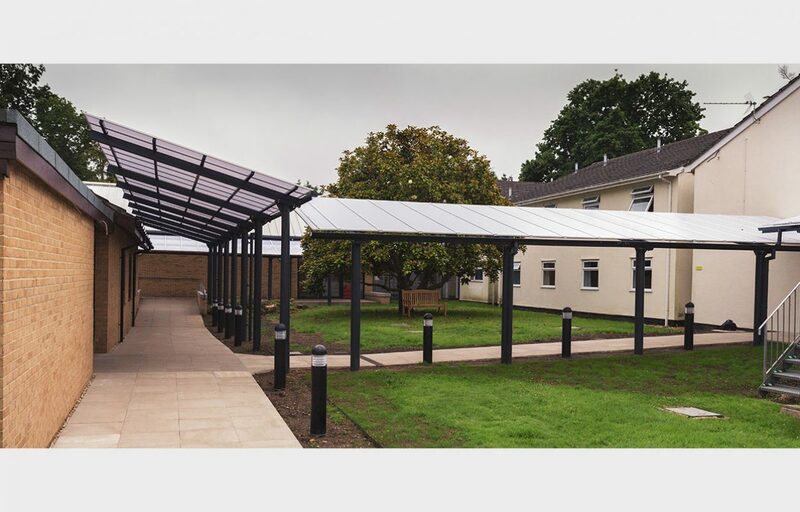 Our solution was a 3.2m wide cantilever walkway, covering 54m in total. We were able to match the structure to the college colours. The college also benefitted from a speedy 6 day completion thanks to our in-house installation teams. 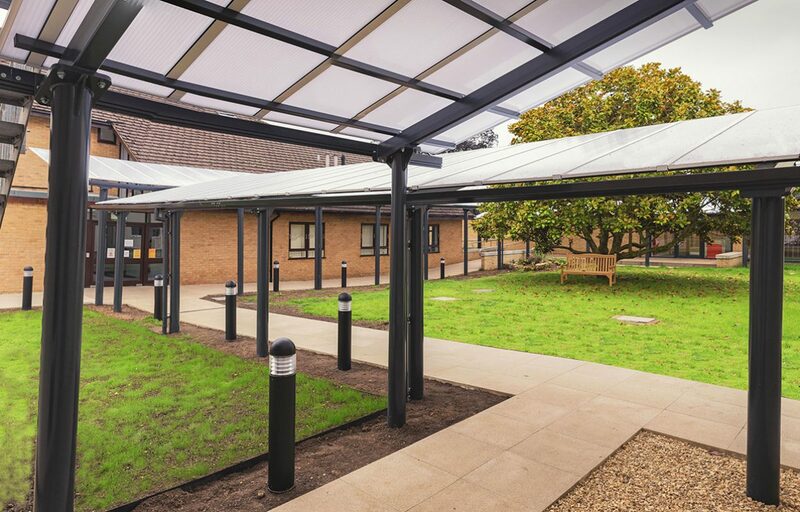 Roof: Hard-wearing translucent polycarbonate. This covering has a guarantee of 10 years is fire retardant and gives high UV protection.